I got the ImmersionRC EZUHF transmitter and diversity receiver a couple of weeks ago. 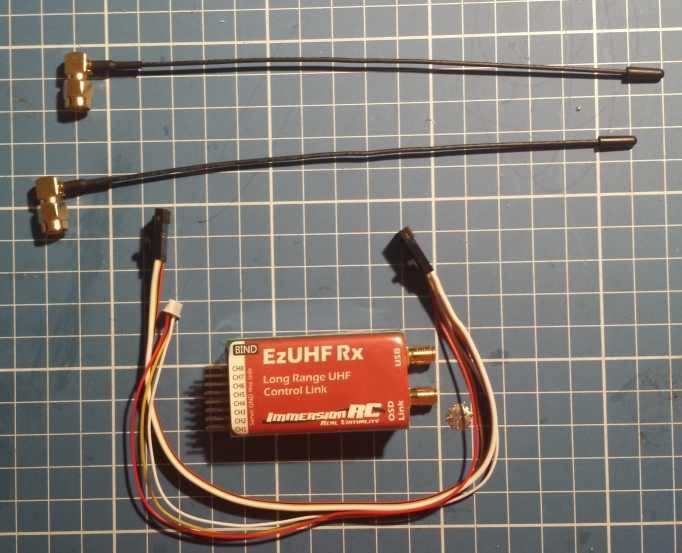 The transmitter package includes: the antenna, the transmitter box, head tracker cable, power cable with an open wire, and a transmitter to rc controller cable (in this case for a futaba). Obviously, since I’m using a Spektrum 6i I have to replace the futaba plug with a 3.5mm mono plug for the 6i’s trainer port. The receiver comes with a data cable (for EzOSD which I didnt get) and the two diversity antennas. 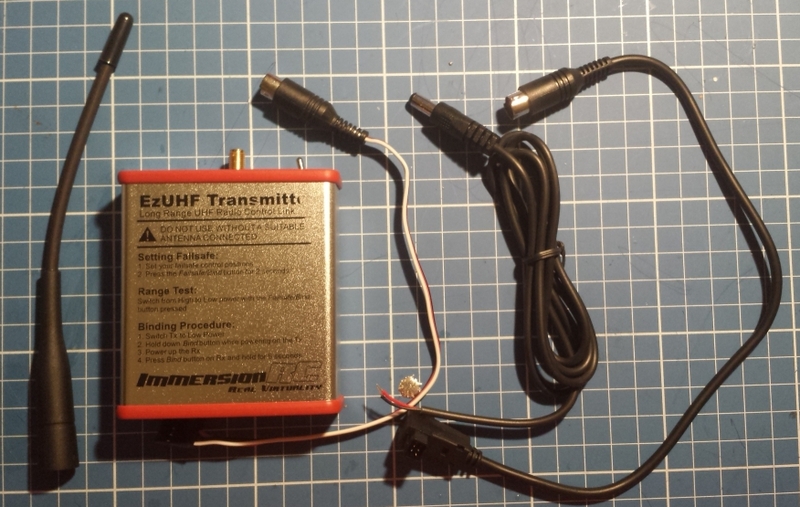 The first thing I did was upgrade the firmware of the BOTH (must be the same FW version) the transmitter and receiver to v1.43 which includes their ‘Extreme Hopping’ mode (ie frequency hopping in a larger 20Mhz band instead of the default 2Mhz).